WESTSIDE NURSING caregivers provide companionship and peace of mind to their clients. From daily home visits to live-in support, WESTSIDE NURSING can offer flexible, dignified and compassionate care to the elderly. Many seniors wish to maintain a high degree of independence and live in their homes. However, due to declining mental or physical health, some may require assistance with day-to-day life. Previously simple life skills like bathing and grooming and even being able to get out of bed and get dressed in the morning can become more difficult. WESTSIDE NURSING offers clients throughout the Lower Mainland area of British Columbia a comprehensive menu of home visit elder care options, from homemakers to Registered Nurses. A WESTSIDE NURSING homemaker offers friendly and competent companionship while providing assistance with day-to-day functions, including light housekeeping, assistance with shopping and meal preparation, and safe transportation to appointments and doctors’ offices. A WESTSIDE NURSING personal care aide can provide assistance with bathing and personal grooming, and can ensure that medications are taken as directed by the client’s physician. 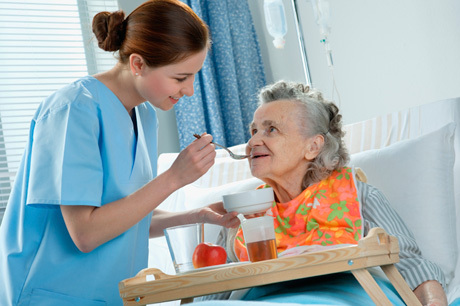 The services of a personal care aide can be interwoven with those of a Registered Nurse, if required, to ensure that all physical, as well as, emotional needs of the client are met. From basic personal care needs to twenty-four-hour nursing care, WESTSIDE NURSING’S dedicated staff will ensure that procedures such as dressing changes, ostomy care, medication, skin care, and foot care preserve the dignity of the client. Our staff will also supervise and support any prescribed physical activities and exercises to maximize recovery and fitness.